On March 27th, we signed a four-year (2018-2022), 500,000 € contract with the European Delegation in Egypt to finance activities with several partners: the Institute of Manuscripts of the Arab League in Cairo, Al-Azhar University, and the French Institute of Egypt. 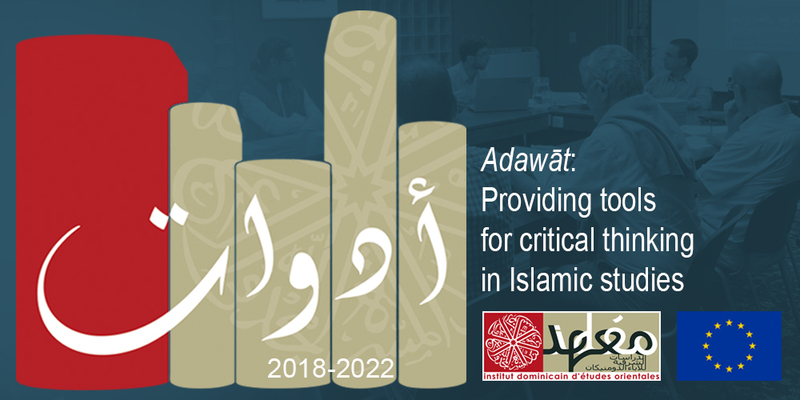 This money will finance several activities whose common goal is to provide students, researchers, and teachers of Islamic studies the tools that will allow them to study Islam from a critical perspective. Installation of AlKindi software at the Institute of Arabic Manuscripts (IMA): the Institute of Manuscripts owns a collection of microfilms of Arabic manuscripts from around the world, and the IDEO owns a collection of printed works, including more than 20,000 texts of the classical Arab heritage. By merging our databases, our catalog will thus give researchers access, for any given text, to the references of the editions that the IDEO possesses and to the references of the manuscripts listed by the IMA. We will enrich the editorial history of these texts and facilitate research in Islamic studies. French classes at al-Azhar: the French Institute in Egypt will provide 20 hours of weekly classes for three years in three different entities in al-Azhar: the Faculty of Human Sciences (for women), the Faculty of Language and Translation (for men), and the Center for Teaching French (CFE) which directly depends on the Sheikh of al-Azhar and gathers the best students of the faculties of theology. These classes will be validated by DELF (Diploma of Studies in French language). We would also like to facilitate students’ access to the university’s resources in French. Educational training sessions in France: the French Institute, over the next four years, will send eight assistant professors each year to France from the above three entities to take a one-month educational course. The training of these assistant professors will allow a longer-term impact on the level of French their students will acquire. PhD workshops: Each year, for three years, we will invite a French-speaking professor of Islamology to come to facilitate three sessions of a doctoral workshop with the students from the above two faculties. We wish to expand the horizons of the doctoral students in international research and allow them to have personal contact with French-speaking researchers. Assistance for the international mobility: the project will also finance each year, for three years, the travel of two professors from each of the two faculties so they may participate in conferences. International conferences in Cairo: Finally, the IDEO will organize two conferences in Cairo, based on the model of its first two (organized in 2016 and 2018). These conferences will provide an opportunity for Egyptian students, professors, and researchers to present their work and exchange ideas with researchers from around the world. The IDEO and its partners in Egypt, with the support of the European Union, wish to assist in the training of the new generation of specialists in Islam who will work closely with the ongoing international academic work, by means of the French language, and make available to all researchers an online reference database in Islamic studies. The National Library of France (BnF), as part of its international programs of shared digitalization, launched their project of a new digital web portal named “Libraries of the Orient” for the preservation, digitalization, dissemination, and enhancement of the heritage of Francophone libraries in the Mediterranean Orient. IDEO’s library was selected to participate in this web portal, which has been available for use on Gallica since September 12, 2017. The corpus of works covers the countries bordering the eastern coast of the Mediterranean Sea: Lebanon, Syria, Israel, Palestine, Jordan, Egypt, Turkey and Iraq. Moreover, it centers around major periods linked to the history of the region: oriental archaeology, oriental churches, the Ottoman Empire, Franco-Arabic relations from Napoleon I to the Second World War/ the question of the East. The volume, as an initial phase, is estimated to be comprised of 5,000 documents for the public domain, of which 2,500 are from the BnF and 2,500 from its partners. They include printed works, manuscripts, maps and plans, photographs, posters, images and, in the future, sound and audiovisual documents. IDEO’s specialized collection of works concerns the Arabic-Muslim heritage of the first ten centuries of the Hijra. Priority is thus given to editions of texts by Arab-Muslim authors. Section icon-tags 9 of the library focuses on a general spectrum of Arabic-Muslim culture. It includes not only works on religious sciences, but also secular literature or of the history of sciences. IDEO’s library has 11,510 works whose publication date is between 1800 and 1945. Among the 1,404 periodicals that the IDEO’s library houses today, 964 are in European languages and 440 are in Arabic. Only 286 are still in publication, of which 171 are in European languages and 115 are in Arabic. The library contains 87 titles of Arabic periodicals published between 1800 and 1945. Works on Arabic literature, Sufism and history will make up most of what IDEO’s Library will provide for the web portal.